quick drive to Dana Point, Laguna beach, even Disneyland. 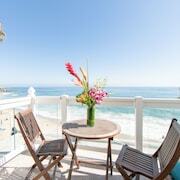 Surf and Sand resort is right on Laguna beach so the location cannot be beat! We made Laguna Beach our primary stop during our California vacation. It was an excellent resort. It was close to the beach and the waves were fairly loud yet relaxing. We plan to come back every time we visit SoCal! The pool and cabanas are convenient (with great bar staff). The beach chairs and umbrellas came with minutes of asking. The one downfall is that we had tar/oil on our feet which can occur on any beach along the coast. The concierge was prepared with olive oil. 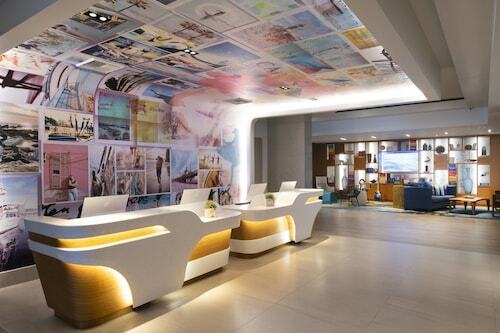 Where to find Laguna Beach hotels near an airport? Where can I find hotels in Laguna Beach that are near tourist attractions? There are numerous accommodation possibilities for travelers hoping to book a place to stay in or around Laguna - South Beaches. On our handy accommodation pages you can search 34 lodging options within a 0.1-kilometre (0.1-mile) distance of central Laguna - South Beaches. 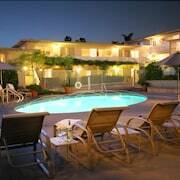 Hotels in walking distance of the center of Laguna - South Beaches are the Surf And Sand Resort and Inn at Laguna Beach. Main Beach Park is one of the most well-known attractions in Laguna - South Beaches. 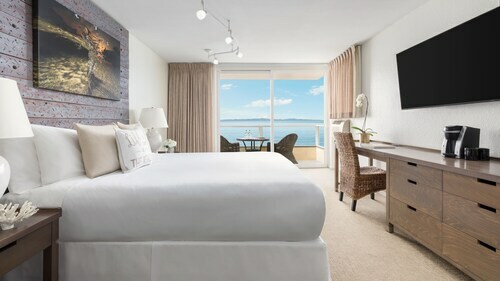 If you'd prefer to stay near this Laguna - South Beaches landmark, check out the Montage Laguna Beach and Casa Laguna Hotel & Spa, which are within comfortable walking distance. 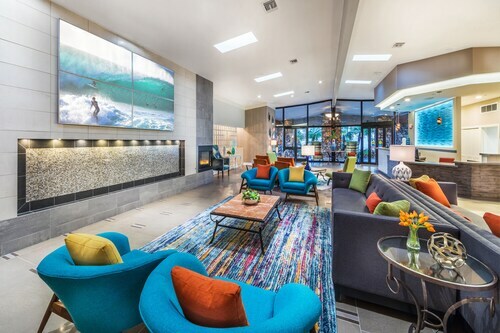 The 14 West and Holiday Inn Laguna Beach are closest to the Laguna College of Art and Design, while the La Casa del Camino - Laguna Beach and Capri Laguna Inn On The Beach are within a short stroll of the Laguna Art Museum. 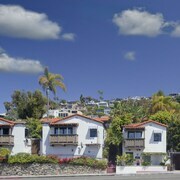 The Tides Laguna Beach and Laguna Brisas Hotel are near Heisler Park. 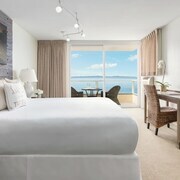 Places to stay close to the Festival of Arts, include the Pacific Edge Hotel on Laguna Beach, a Joie de Vivre Hotel and Hotel Laguna. 8 kilometres (5 miles) away from the main part of Laguna - South Beaches, is The Villas at Pelican Hill Resort. Alternatively, The Ritz-Carlton, Laguna Niguel is positioned 10 kilometres (6 miles) away. The Disney's Grand Californian Hotel and Spa and also The St. Regis Monarch Beach Resort are other alternative options around Laguna - South Beaches. 4 kilometres (2 miles) from Laguna - South Beaches is Aliso Viejo, where visitors can enjoy the Soka University of America and the Aliso Viejo Golf Club. 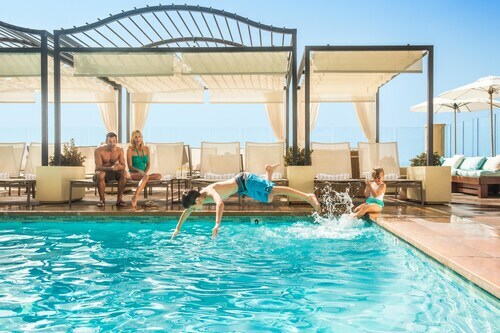 Should you wish to stay in Aliso Viejo, be sure to check out the Renaissance ClubSport Aliso Viejo Laguna Beach Hotel and Ayres Hotel Laguna Woods. 7 kilometres (4 miles) to the southeast of Laguna - South Beaches is Laguna Niguel, which is home to the Americas Best Value Laguna Inn & Suites and The Ranch at Laguna Beach. Should you choose to stay in Laguna Niguel, be sure to visit the El Niguel Country Club and Cinepolis Luxury Cinemas. John Wayne Airport is located 16 kilometres (10 miles) from Laguna - South Beaches. Visitors who choose to stay close by, you can book a room at The Westin South Coast Plaza, Costa Mesa or the Residence Inn by Marriott Costa Mesa Newport Beach. 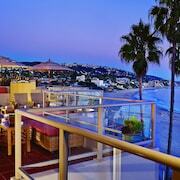 What are the most popular Laguna Beach hotels? Are there hotels in other cities near Laguna Beach? 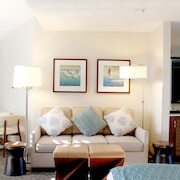 What other types of accommodations are available in Laguna Beach? Explore Laguna Beach with Expedia.ca’s Travel Guides to find the best flights, cars, holiday packages and more!